It’s that season of the year! Christmas is a special season to celebrate the birth of Christ Jesus and the reason he was born. Peejay Paul- the Inspirational and sensational Gospel Artist is back with another upbeat pop and highly infectious Christmas song and video infused with contemporary feel. 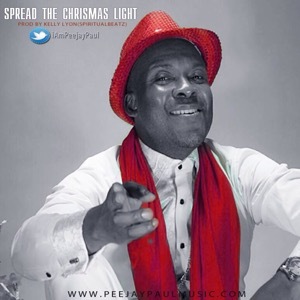 The song titled “Spread the Christmas Light” will get you dancing all day! We love Christmas. The song “Spread the Christmas Light” was produced by Kelly Lyon & the video doctored by the prestigious Carel Films. We love Christmas! Get ready to Dance and rejoice in Thanksgiving to God as you celebrate this season.